WASHINGTON — Frustrated by his options, President Donald Trump is withholding approval of a long-delayed Afghanistan war strategy and even mulling a radical shakeup in his national security team as he searches for a “game changer” after 16 years of indecisive conflict. 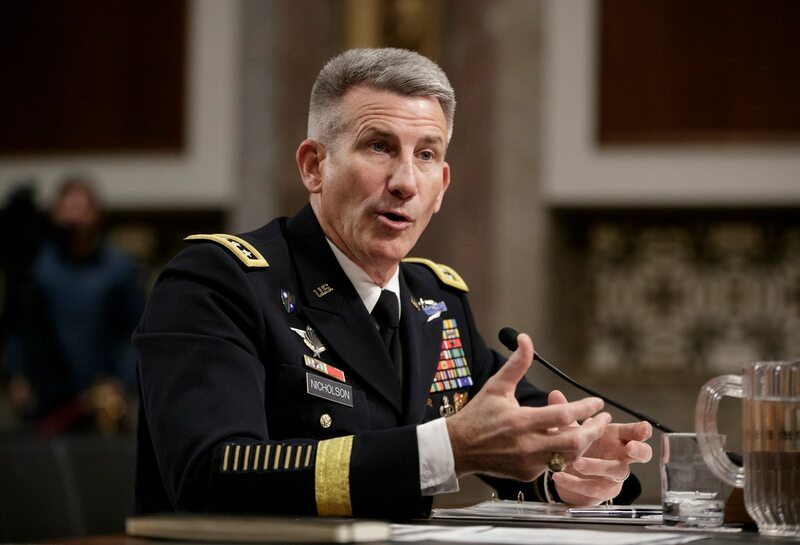 In a recent Situation Room meeting that turned explosive, Trump raised the idea of firing Army Gen. John Nicholson, the top U.S. commander in Afghanistan, according to two officials with knowledge of the discussion. And he suggested installing his national security adviser, Gen. H.R. McMaster, to oversee the mission, said the officials, who weren’t authorized to talk publicly and requested anonymity. 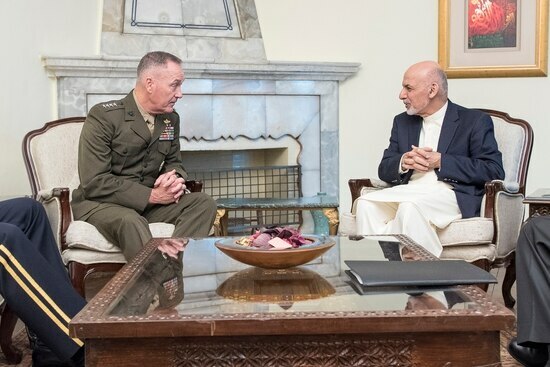 The drastic suggestions point to the desperation shared by many in Washington as military and other leaders look for a blueprint for “winning” the Afghan conflict. Trump has been frustrated by what he views as a stalemate. He wants a plan that will allow American forces to pull out once and for all. These powers include U.S. friends and foes, from Pakistan and India to China, Russia and Iran. Pentagon plans aren’t calling for a radical departure from the limited approach endorsed by former President Barack Obama, and several officials have credited Trump with rightly asking tough questions, such as how the prescribed approach might lead to success. Trump hasn’t welcomed the military’s recommendations with “high-five enthusiasm,” a senior White House official said. 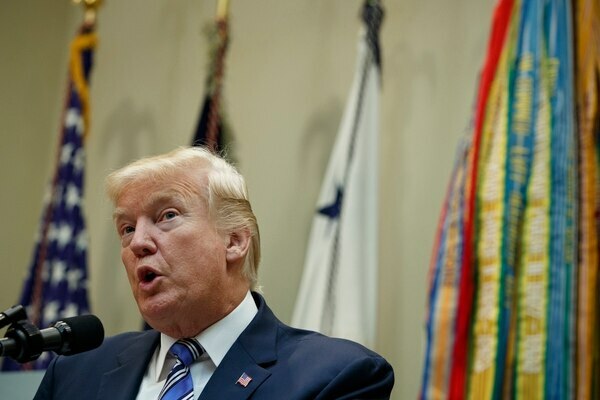 Several meetings involving Trump’s National Security Council have been tense as the president demanded answers from top advisers about why American forces needed to be in Afghanistan. Officials said Trump’s chief strategist, Steve Bannon, and his son-in-law and adviser, Jared Kushner, have been pushing a plan to have contractors fight the war in Afghanistan instead of U.S. troops. Blackwater Worldwide founder Erik Prince, the brother of Education Secretary Betsy DeVos, was approached by Trump’s top advisers to develop proposals to gradually swap out U.S. troops and put military contractors in their place, a military official said. The military has frowned on such proposals. 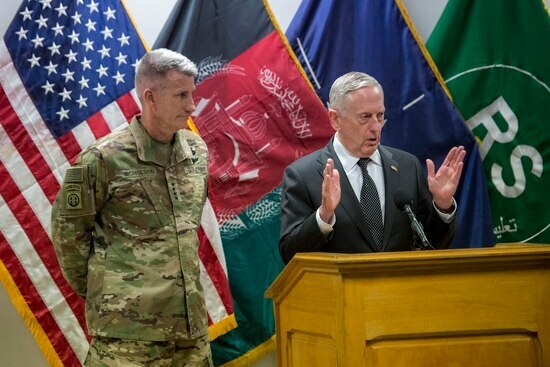 It believes boosting troop levels will accelerate progress in training Afghan troops and its air force, and help counterterrorism teams pursue targets even more aggressively. They point to improvements among Afghan forces and in anti-corruption efforts. Military leaders — including McMaster, Defense Secretary Jim Mattis and Gen. Joseph Dunford, the Joint Chiefs of Staff chairman, are all said to be on the same page, as is Secretary of State Rex Tillerson. Military officials also have defended Nicholson, saying any punishment of him would be unfair because he hasn’t been given the forces he says he needs. His possible firing was first reported by NBC News. The White House, which declined multiple requests to comment, may shift itself on Afghanistan now that retired Marine Gen. John Kelly is Trump’s new chief of staff. Kelly hasn’t spoken about Afghanistan, however, since his appointment this week. Doing so requires the president on board. While Trump has been keen to give military officials carte blanche on troop levels and other military affairs, his approach to Afghanistan has grown increasingly assertive. In some ways, his scrutiny of military plans has evoked that of Obama, whom Trump derided as a candidate for not heeding his generals’ advice. U.S. indecision is causing Afghanistan’s neighbors to hedge their bets, Sen. Bob Corker, the Senate Foreign Relations Committee chairman, said. As long as they believe Washington is “six months away from stepping out, six months away from giving up,” they will continue to do so, Corker said. Associated Press writers Josh Lederman and Deb Reichmann contributed from Washington.